Still deciding on a comfortably affordable Softtop convertible? How about this 2013 Jeep Wrangler. With seating for 4 this SUV can fit the driver and 3 passengers... a typical family of four. Two doors gives the Wrangler a streamlined appearance that shouts fun. The base price for this Softtop convertible is $22,295. 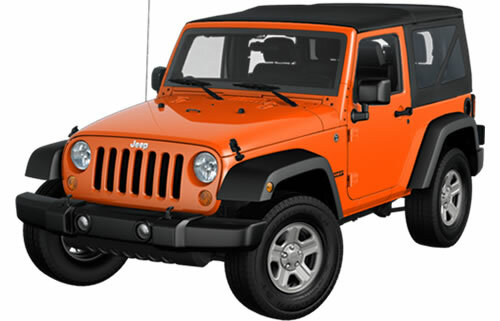 If you like the Wrangler, check out current (and previous) convertibles manufactured by Jeep. Checking out the Jeep Wrangler? Good for you. SUV drivers deserve to put the top down too.